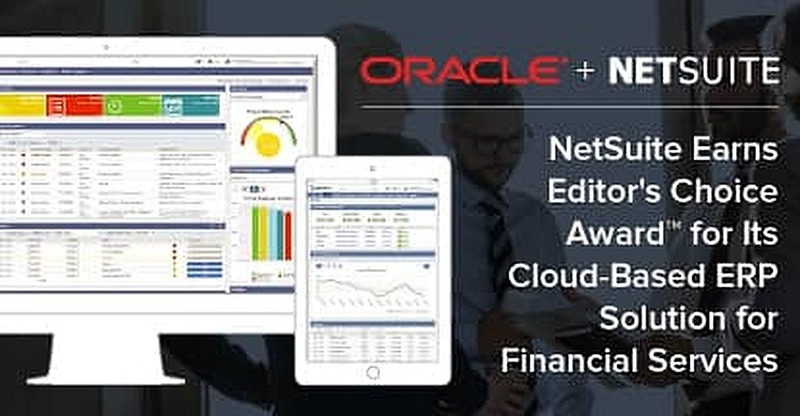 In a Nutshell: Used by over 40,000 organizations and subsidiaries across more than 160 countries, including some of the largest institutions in finance, Oracle NetSuite Global Business Unit (GBU) earns our Editor’s Choice Award™ for its cloud-based ERP solution and financial management platform. An early pioneer in cloud technology, NetSuite provides a single, cohesive application and comprehensive solution, enabling global access to real-time data from any web browser or mobile device. Additionally, its full-featured financial management software can streamline expense and revenue management, accelerate your financial close, and simplify tax management, risk assessment, and compliance — all in a unified business management suite. NetSuite helps thousands of companies make better, faster business decisions. Since its original debut in the late 19th century, the towering skyscraper has taken its place as the icon of the modern industrialized city. A practical necessity, these multi-story giants have been responsible for housing the myriad workers and resources necessary to keep a city’s businesses bustling. After more than 100 years, however, the business landscape is experiencing a foundational shift, becoming less reliant on the availability of room after room of physical space. Today, nearly every aspect of running a business has made the digital transition, and an ever-growing portion of the workforce has gone remote. In the wake of this digital revolution, companies are transforming their business by migrating many parts of their business processes from the buildings that simply sit among the clouds — to the Cloud itself. When Oracle NetSuite GRU was originally founded in 1998, the idea of “cloud computing” was in its infancy, and few companies were even dreaming of utilizing the technology. For the team at NetSuite, however, it was the obvious solution to the growing need for a flexible, scalable, and comprehensive global management platform. What was, in 1998, a novel but somewhat peculiar idea, is increasingly becoming the standard for many industries. In fact, NetSuite’s cloud-based ERP has made such an impact in the financial services industry that it’s earned the Editor’s Choice Award™. At its core, NetSuite’s differentiator is its comprehensive, feature-packed cloud platform. Rather than providing a series of disparate products integrated under one name, NetSuite offers a single, flexible application. Additionally, its cloud-based nature provides automatic globalization, with the ability to access data from anywhere in the world. It also eliminates many of the traditional costs of on-site support, including hardware and operational expenses. The financial and accounting software in the NetSuite cloud platform helps streamline the process, pairing robust finance and accounting functions with compliance management. NetSuite provides real-time access to live financial data, while optimizing the financial close and reducing back-office costs. In the NetSuite platform, the General Ledger gains dynamic functionality, capable of being tailored to meet the needs of individual businesses and adapting to variable conditions. Users can also optimize and automate receivables and payables, accelerating cash flow and improving liquidity. They can make and process payments right from NetSuite, whether through online checkout or invoice settlement, and have real-time access to payment information. NetSuite combines robust financial and accounting functions with strong compliance management. NeSuite can ensure that fixed assets and cash is managed efficiently and effectively with detailed asset management and visible reporting. And built-in tax management software simplifies global tax and compliance management, supporting calculations at multiple global levels and in multiple currencies. Regardless of company size, billing infrastructure needs to handle a variety of pricing schemes, with a range of payment terms and timelines. Even for small businesses, using legacy management methods, such as spreadsheets, can cause billing to quickly get out of hand. NetSuite’s Financial Planning software provides a variety of benefits, including a reduction in planning cycle times and improved forecast accuracy. Users can compare, analyze, and model both actual and projected results, as well as see across budgets, forecasts, and actual results to get a complete picture. Additionally, NetSuite’s financial planning software offers flexible modeling for multiple plan comparisons, and what-if analysis so you can quickly see the impacts of new changes. The drag-and-drop report builder provides powerful reporting of real-time data, from anywhere. Whether your company’s transactions involve products or services — or both — those transactions need to be calculated and presented accurately on your financial statements. NetSuite Revenue Recognition supports any revenue standard, for any given set of products and services. Help your company comply with a variety of accounting standards with NetSuite Revenue Recognition. “NetSuite’s Advanced Revenue Management solution helps companies comply with accounting standards, including ASC 605, 606 and IFRS 15, and report financial results in a timely manner. The solution automates revenue forecasting, allocation, recognition, reclassification, and auditing through a rule-based event handling framework,” as described by NetSuite. Alongside automated financial statements, NetSuite clients also gain access to a modern financial reporting experience, receiving real-time financial analysis and modeling across business dimensions. NetSuite financial reporting delivers detailed insights into company performance and improves business decision making. NetSuite’s comprehensive platform provides tailored dashboards and KPIs, offering both out-of-the-box and customizable reports that can be securely accessed from anywhere via a web browser or mobile device. Users can go beyond financial metrics, tracking statistical and operational data to give an overarching business analysis. As a cloud-based platform, NetSuite provides instant globalization of company data through real-time access from any location. Additionally, NetSuite has a range of other global tools, including multi-language support, as well as its multi-currency management that supports 190-plus currencies and exchange rates, enabling seamless global transactions. While today’s marketplace makes it easier than ever for eager entrepreneurs to make their start, the continually changing business landscape is full of global complexities and challenges once faced only by large, multinational corporations. Compliance and risk management are no longer the sole realm of the enterprise. “NetSuite provides a superior compliance foundation, with an array of supporting reports and certificates, like SOC 1, SOC 2, ISO 27K, PCI/PA-DSS and more, to meet your organization’s risk and control expectations, and ensure the accuracy of your financial statements,” according to NetSuite. Furthermore, NetSuite’s many partners add to the native functionality of the platform, increasing the user’s ability to anticipate and address changes in security, duties, and configuration. NetSuite’s GRC solution is completely scalable, growing with your company from startup through IPO, avoiding the hassle of changing systems. At one time, the average business was contained within many rooms, each dedicated to its particular department and function. Each aspect of the business was separated from the rest of the company by sturdy walls, breached only by the consistent flow of paper that was once the lifeblood of the business world. Today, in the era of digitization, companies are spread far and wide, obtaining an all-but-required global presence through the use of digital technology solutions. Eschewing the seemingly endless reams of paper, a growing number of businesses have, instead, joined the Cloud. For many major players in the financial industry, the path to the Cloud lies with NetSuite, and its flexible, scalable financial management solutions.